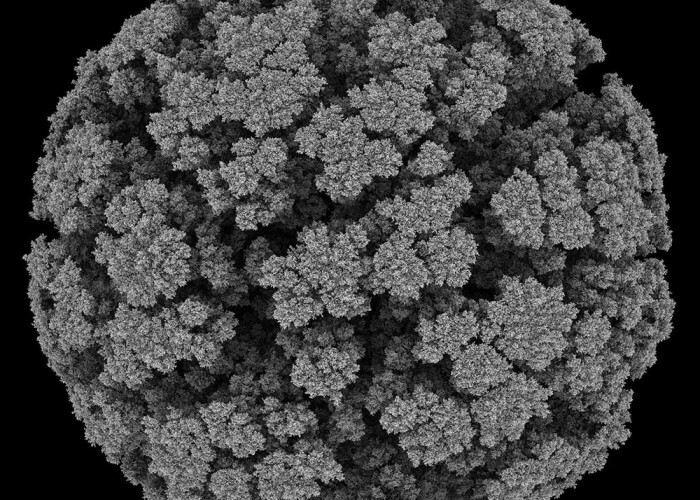 The Aggregation series simulates emergence and growth of natural organic shapes in a computer environment controlled by an algorithm. It started out with love for coding in the free time of its creator, the mathematician Andy Lomas. Intrigued by an algorithm (aggregation with limited diffusion) used for the Matrix movie, where he was working, Lomas developed it so that it generates a simulation of growth with unpredictable results. 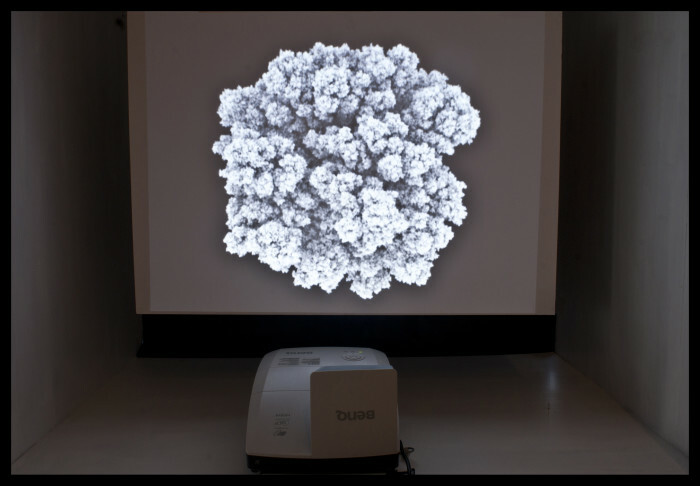 It uses one ‘seed’ and one ‘walker’ circling around it and thus creates complex structures emerging from the invisible. The graphics consist of approximately 50 million particles and are not a result of a concluded process. 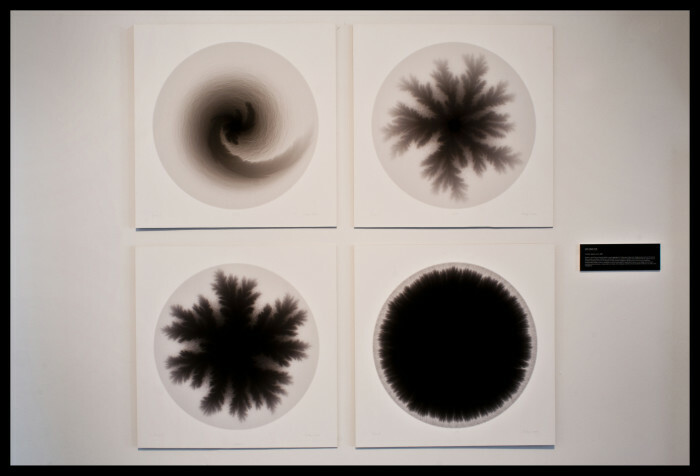 Rather they reflect its creator’s aesthetic choices when observing the visible processes of aggregation in time. 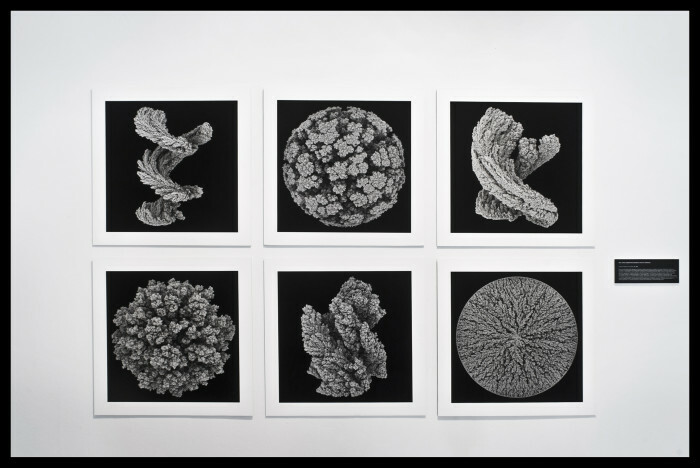 Whereas the images from the Aggregation series directly show the deposited structures themselves, the images in the Flow series illustrate the other side of the same processes: the paths followed by particles before they deposit. They can be seen as the natural duals of the Aggregation images. They are composed of the layered trajectories followed by millions of particles as they flow in fields of forces. Each individual trajectory is essentially an independent random process, with the trail terminating when it reaches a deposition zone. Collectively, however, the paths combine to form delicate complex shapes of filigree and shadow in the areas of negative space that the paths do not reach. Over time, as particles deposit they create a growing region that future particles will not be able to enter. Subtle shadow-like structures form in the areas that trails no longer reach, reflecting the growth of the termination zone.